For many years, the Family Planning Association (FPA) had tried to establish a clinic at which women could access information and services relating to contraception and fertility. In the early 1950s, several factors fell into place, resulting in the first family planning clinic in New Zealand. One was the arrival of Ena Compton, a British family planning nurse who had worked at a clinic in London. The FPA found her quite by chance and she was immediately pressed into service. Compton brought more than medical knowledge: her practical experience convinced the local FPA members that their idea of a clinic was feasible. Another piece of the puzzle fell into place as a result of a chance encounter with Dr Lyndsay Johnstone: if the FPA set up a clinic, he would be interested in working there. All that was needed now was the clinic itself. After failing to secure a space in an existing doctor’s premises, the Auckland branch widened its search for two rooms with hot and cold running water, heating and toilet facilities. Auckland President Aethea Northey, Glenys Lowe and their three young children viewed a suite of rooms above F.V. Anderson’s Remuera Garage at 305 Remuera Rd, Auckland. After they leased these for £3 a week. 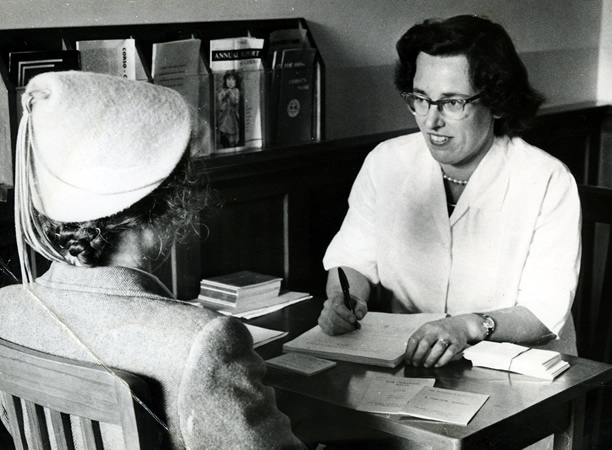 New Zealand’s first birth control clinic opened on 28 November 1953. The clinic saw 215 women in its first four months. Most were married women seeking contraceptive advice, while a few had questions about fertility. We have 10 biographies, 3 articles, related to New Zealand's first family planning clinic opens.